Are you thinking about starting a business in the US? We all know about the attractions of Delaware, California and New York. Yet in these harder economic times, entrepreneurs have had to get creative in filling specific niches in the market where they are currently based. This has produced a wave of startup activity all over the US. 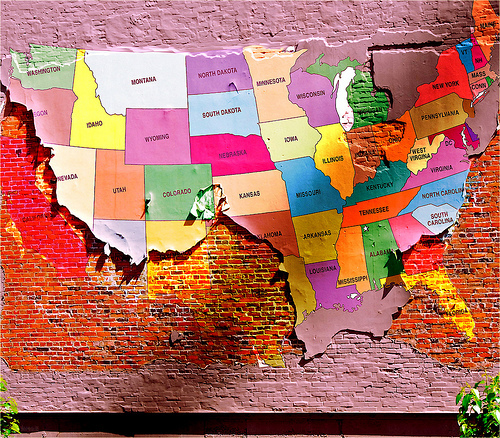 Here are some US states where new businesses are sprouting up and why. The oil booms in these states have caused workers to come flooding in, to the point where housing has become an issue. Small towns have been particularly affected as oil companies move in. Many landowners are finding themselves with extra cash to spend after selling off mineral rights and stores are struggling to keep items stocked. Some small startups have had to expand out of necessity in order to keep up with the market. The risk in these states is that business is almost totally dependent on the oil companies, and, if you need to build, it can be difficult to get supplies. Sin City receives millions of visitors a year and some end up setting up shop. The lack of corporate and individual income, and franchise tax has made Nevada a very desirable location for entrepreneurs. Nevada is second only to Delaware when it comes to corporations, with over 300,000 companies in its borders. Eager entrepreneurs will be able to get a business license within a day due to Nevada’s streamlined registration process. Other states that have good tax incentives for businesses include Wyoming, South Dakota, and Alaska. 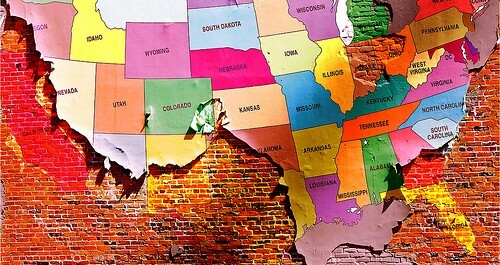 This state had the highest startup rate in the country for 2011. According to Kauffman, this is due to an increase in unemployment which can cause an increase in sole proprietorship. These are individual entrepreneurs who prefer to go it alone without hiring employees. The high immigration rate in Arizona has also increased the startup rate. Immigrants are twice as likely to start a business as native-born citizens. So you will have plenty of moral support in this state. While the higher taxes are not optimum for businesses, it has not stopped big businesses from setting up shop near Boise in the Treasure Valley. Buildings benefit from low power costs due to the efficient hydroelectric system in the state and the low cost of living also helps offset the higher business and income taxes. If you need labour and utilities, for a manufacturing business for instance, or if you can provide services to the large companies based there, this could be the place for you. Surprisingly, small business makes up three quarters of the gross domestic product in Florida. This is paired with low business taxes and regulations and no personal income tax. Florida caters well to technical startups due to the high end talent found in the area thanks to the space and technology programs. It also serves as a hub for shipping, exporting and importing goods. Plus, it’s Florida. A strong business model and finding a niche is vital, but setting up shop in a location that has proved itself by supporting startups can be beneficial. You need to make sure that your location is the right place to reach your target customers and that your long term goals will be viable there. Miles Hall is a blogger who focuses largely on the world of small business. He contributes to the site businessbroker.net, for which he writes about small businesses for sale. By 7 you mean 6, yes? Thanks MG. I didn’t pick up that Miles had only included 6 states. I’ll change that now.